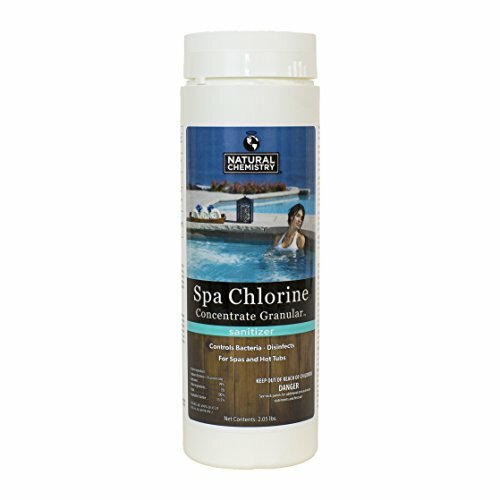 Natural Chemistry Spa Chlorine Concentrate allows you to quickly add needed chlorine to your hot tub or spa without needing any dispensers or floaters. 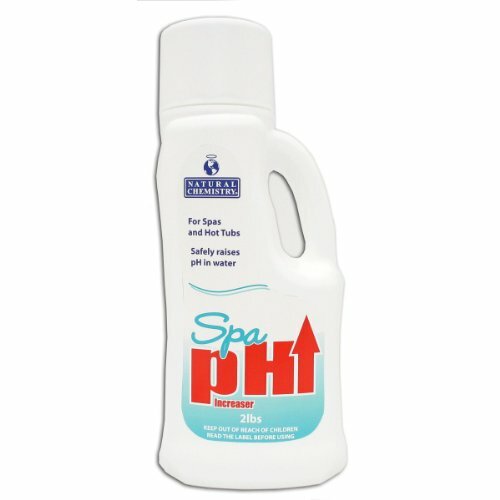 Simply spoon out the dosage and add directly to water for precise control over the level of chlorine in your spa water. 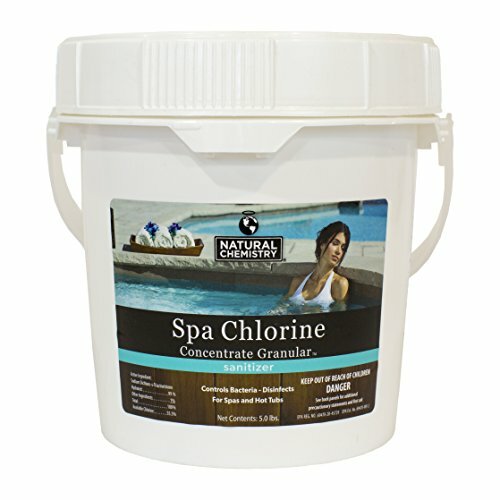 Spa Chlorine Concentrate can be used for routine maintenance or superchlorinating your spa after heavy bather loads or infrequent use, ensuring your system is safe and healthy. Natural Chemistry is an industry innovator in utilizing natural enzymes and compounds to clean and sanitize pools and spas, allowing you to buy with confidence. Natural Chemistry Clear is a natural clarifier made from the recycled shells of crabs and various sea life. Crabs and other crustaceans have a product in their shells called chitosan that attracts small particles of debris in water. Use to effectively and quickly clear problem water or to polish dull water by removing small suspended particles. Clear is compatible with all sanitizing systems, biodegradable and environmentally safe. Includes 2 Bottles! Instructions 1. Using flip squirt cap, apply Spa Clear at the recommended dosage rate across the water surface. (See side of bottle for measurement marks). 2. Concentrate on deep water areas. 3. Run filter system continuously for at least 6 hours after application. Note: For best results, it is recommended to use this product with an elevated level of chlorine. Weekly Maintenance: To enhance spa water clarity and appearance, treat with Spa Clear once a week at the standard dosage. For home spas that get heavy use or for commercial spas, treat spa twice a week at cloudy water dosage. Natural Chemistry Spa Perfect utilizes nature's enzymes to break down oil and scum in spa water and filter elements. It eliminates unwanted non-living organic contaminants such as body oils, cosmetics, suntan lotions, hair products and more. It helps prevent that ugly water-line ring and tedious soaking and scrubbing of cartridge filters as well. Spa Perfect continually cleans your cartridge filter while preventing excessive foaming and brown bubbles and is 100% biodegradable. Comes in two 2 liter bottles. Dosage: 5 ounces per 500 gallons weekly, or more often for heavy bather loads. 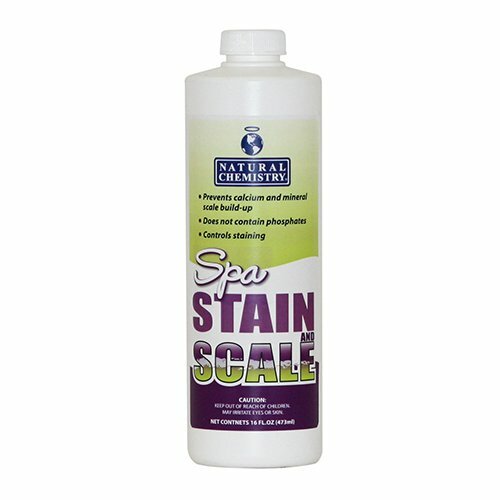 This Natural Chemistry spa defoamer is specifically formulated for spa water to instantly control and prevent foaming. Compatible with all sanitizers and spa surfaces. Non-toxic and will not harm the environment. Shake well before each use. With circulation system running, add approximately 1/2-ounce (15mL) directly to spa water repeat as necessary. Eliminates foam on spa water. Specifically formulated for hot water. 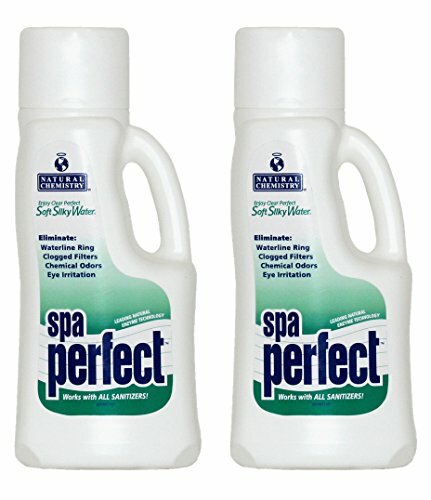 Use spa perfect weekly to reduce foam causing organic loads. Make sure spa water is properly balanced. Can use spa directly after adding. Includes 12 Defoamer container per pack. Comes in 16-ounce container. Natural Chemistry Spa Perfect utilizes nature's enzymes to break down oil and scum in spa water and filter elements. It eliminates unwanted non-living organic contaminants such as body oils, cosmetics, suntan lotions, hair products and more. It helps prevent that ugly water-line ring and tedious soaking and scrubbing of cartridge filters as well. 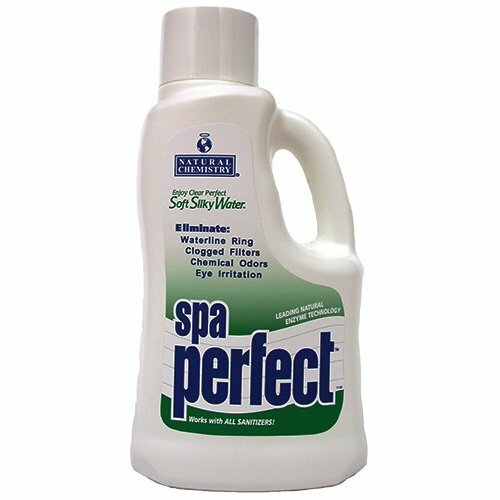 Spa Perfect continually cleans your cartridge filter while preventing excessive foaming and brown bubbles and is 100% biodegradable. Comes in six 2 liter bottles. Dosage: 5 ounces per 500 gallons weekly, or more often for heavy bather loads. Natural Chemistry Spa Purge attacks the root cause of most spa maintenance problems, the build-up of organic waste. Oils, lotions, cosmetics, hair products, sweat and other non-living organics build up in your spa water and plumbing and produce cloudiness, unpleasant odors and foaming. When using Spa Purge you are purging your spa or hot tub of this organic waste which will drastically reduce or even eliminate these symptoms. Spa Purge is perfect for use in large commercial spas or smaller residential backyard spas. Comes in four 1 liter bottles. Dosage: 1 liter per 1,000 gallons. Instant Pool Water Conditioner is used for stabilizing chlorine from UV sunlight loss. It begins working to protect chlorine the instant it is added to the pool. Regular cyanuric acid with a pH of 2.8 is very acidic and it takes from 4 to 7 days to dissolve. This can cause damage to the pool surface or circulation system, depending on the method of application. 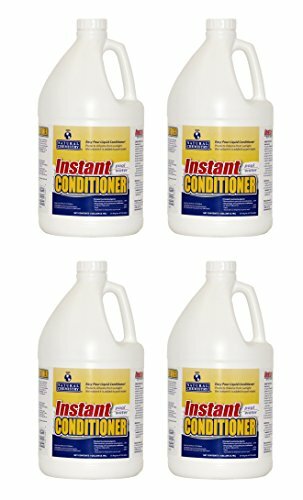 Instant Pool Water Conditioner is not an acid (it's a salt) and has a pool friendly pH, so it will not damage pool surfaces or equipment. Eliminates phosphates (algae's primary food source) to starve algae! Can be used all season and is great for pool closing in the fall to control algae during the winter months! 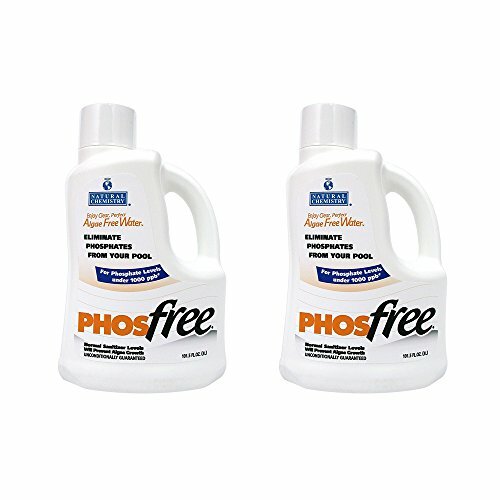 Unlike algaecides that kill existing algae (resulting in a release of phosphates by the dying algae), Phos Free eliminates phosphates from the water to solve even the most stubborn algae problems! Weekly Dosage: 4 oz. per 8,000 gallons, (Increase dosage for excessive phosphate levels). Includes (2) 3 liter bottles. 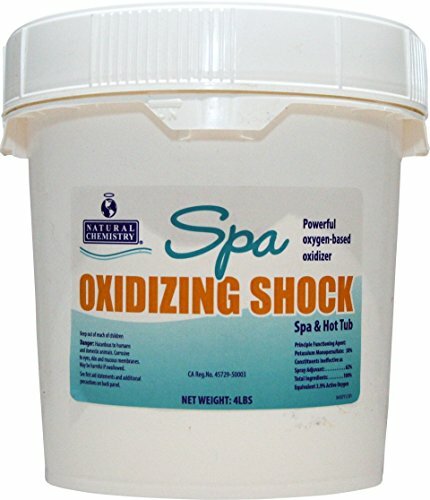 This Natural Chemistry spa oxidizing shock quickly dissolves to eliminate odors and organic build-up in spa water. It is part of the enhance group of products used in the spa ease program. Powerful oxidizer destroys spa water contaminants. Compatible with chlorine and bromine. Safe for use with all spa surfaces. Easy to dose and measure cap. Recommended initial dose is 2-ounce per 300-gallons of water. It can be apply by initial treatment by adding initial dose followed with regular treatment. Add product with circulating pump running, continue circulating for at least 30 minutes. 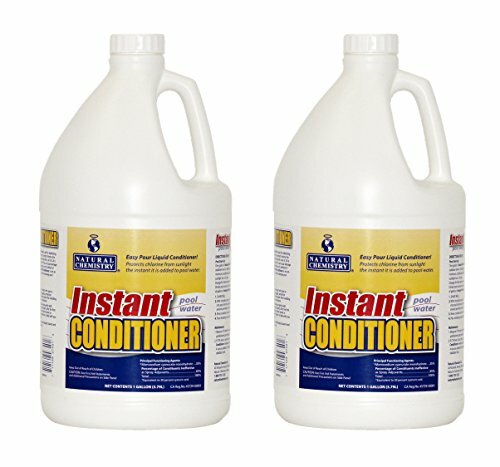 Turn the jets on and off once or twice after adding the product to improve the treatment. Includes 6 spa oxidizing container per pack. Comes in 4-pounds container. 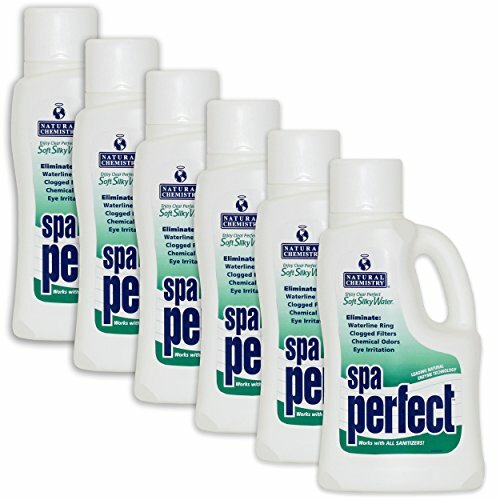 Spa Perfect is an all natural, powerful enzyme that breaks down organics to reduce spa maintenance and prevent scum lines, organic staining and surface oils. It eliminates skin and eye irritation and strong chemical odors, making water feel soft and silky. 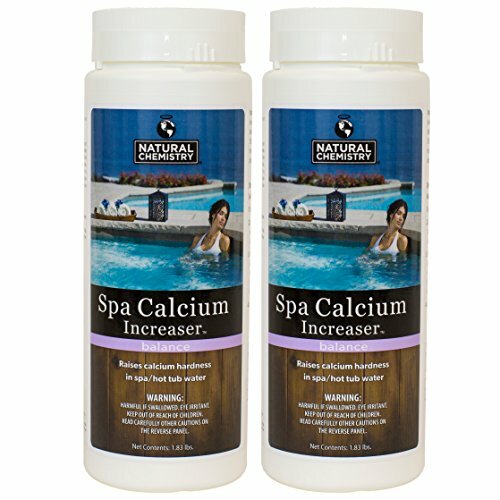 Natural Chemistry Spa Calcium Hardness Increaser boosts the calcium hardness level in your spa or hot tub, which is an important factor in overall spa health. Low calcium hardness levels can cause corrosion damage to spa surfaces, plumbing, and other equipment that can cost considerable money to repair. It also can cause eye and skin irritation for bathers. 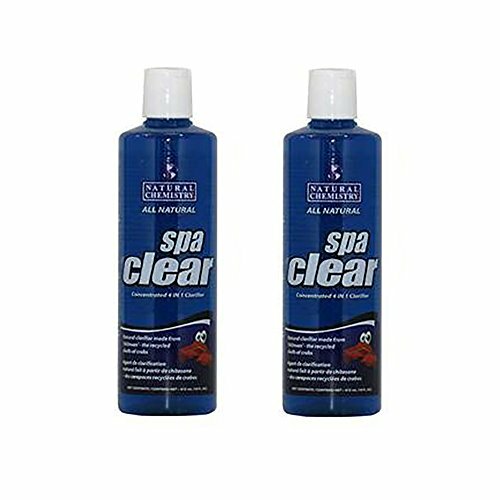 Spa Calcium Hardness Increaser prevents these problems by steadily raising the hardness level into the optimal range of 150 to 250 ppm, protecting spa equipment and making its water clear and comfortable. This product is made by Natural Chemistry, which has been an industry innovator in harnessing the power of natural compounds and enzymes to maintain pools and spas for almost 20 years. 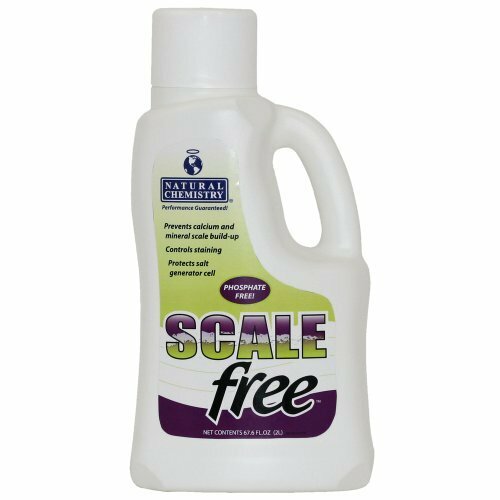 This Natural Chemistry scale free prevents scaling caused by calcium and mineral hardness. 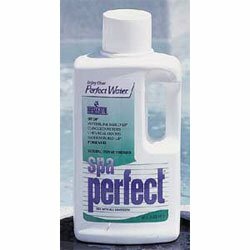 It prevents metal staining and scale build-up to prolong pool equipment life as well as preserving pool liners and finishes. Features deactivates iron, calcium and other minerals. Highly concentrated, phosphate-free formula. Compatible with all sanitizers and pool surfaces. Will not add phosphates or acid to pool water. Recommended dosage are 32-ounce per 10,000-gallons of water and 5-ounce per 10,000-gallons of water for monthly treatment. It can be apply directly to pool water as per dosage chart. If water hardness level is above 500 ppm, double the recommended dose. Comes in 2-liter container.